“Surprising” probably isn’t in the top ten list of adjectives students would use to describe math class, which is too bad since surprise lends itself to learning. Surprise occurs when the world reveals itself as more orderly or disorderly than we expected. When we’re surprised, we relax assumptions about the world we previously held tightly. When we’re surprised, we’re interested in resolving the difference between our expectations and reality. In short, when we’re surprised we’re ready to learn. 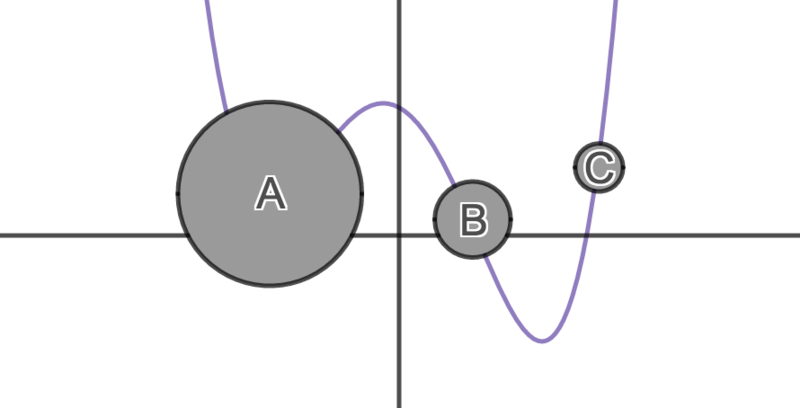 If a continuous function, f, with an interval, [a, b], as its domain, takes values f(a) and f(b) at each end of the interval, then it also takes any value between f(a) and f(b) at some point within the interval. What surprised Cauchy so much that he figured he should take a minute to write the Intermediate Value Theorem down? How can we excavate that moment of surprise from the antiseptic language of the theorem? 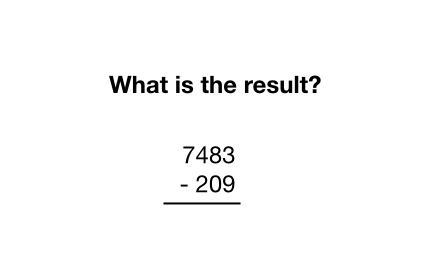 Check out our activity and watch how it takes that formal mathematical language and converts it to a moment of surprise. We ask students, which of these circles must cross the horizontal axis? 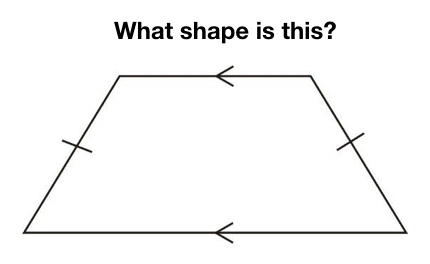 Which of them might cross the horizontal axis? Which of them must not cross the horizontal axis? They formulate and defend their conjectures and then we invite them to inspect the graph. In the next round, we throw them their first surprise: functions are fickle. Do not trust them. But you can’t expect me to spoil it. Check it out, and then let us know in the comments how you’ve integrated surprise into your own classrooms. This was new. I was on a raised platform with seven middle school students to my left and six to my right and several hundred math teachers surrounding us on all sides. This wasn’t a dream. The MidSchoolMath conference organizers had proposed the idea months ago. “Why don’t you do some actual teaching instead of just talking about teaching?” basically. They’d find the kids. I was game. The math should involve the real world in some way, by request of the organizers. The math should ask students to think at different levels of formality, in concrete and abstract ways. 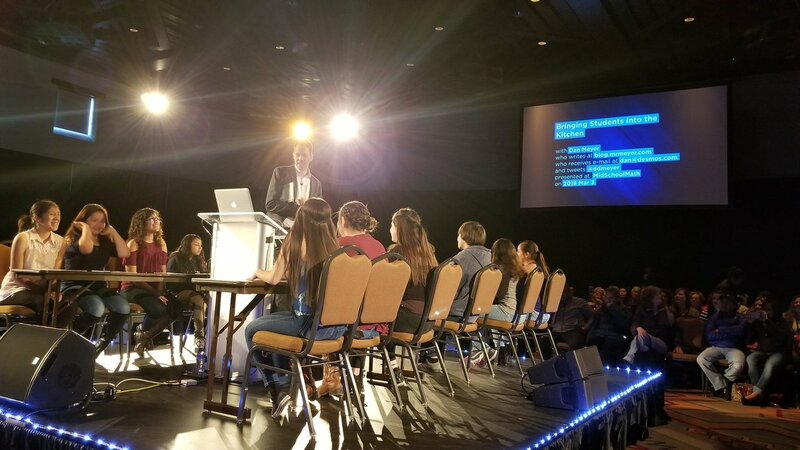 Because these students would be working in front of hundreds of math teachers, I wanted to increase the likelihood they’d all find a comfortable access point somewhere in the math. 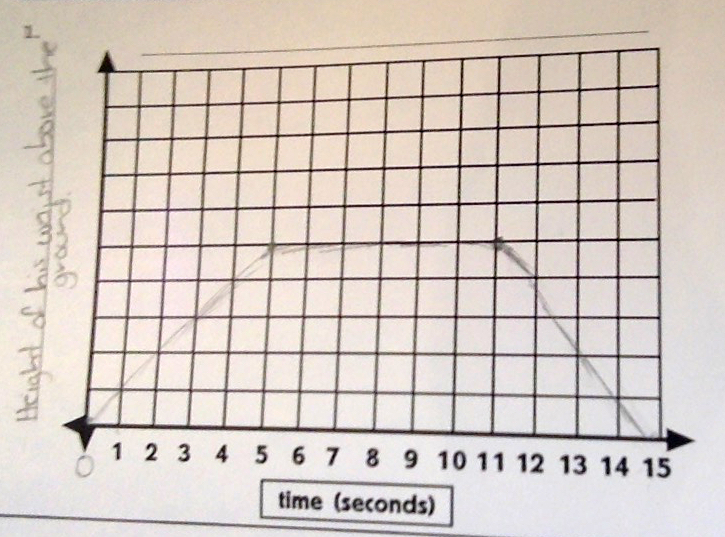 So we worked through a Graphing Stories vignette. We watched Adam Poetzel climb a playground structure and slide down it. I asked the students to tell each other, and then me, some quantities in the video that were changing and some that were unchanging. I asked them to describe in words Adam’s height above the ground over time. Then I asked them to trace that relationship with their finger in the air. 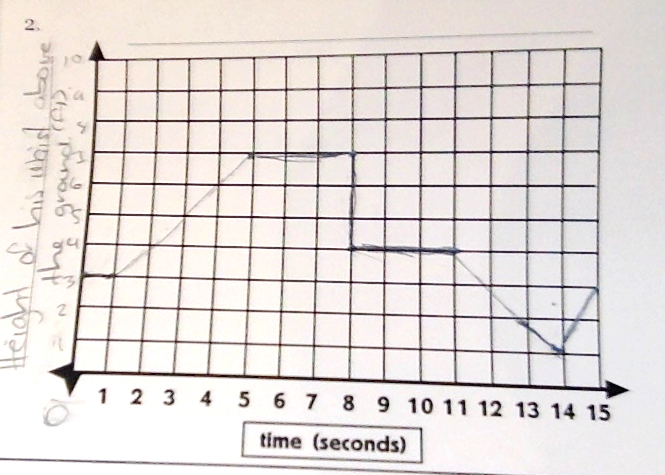 Only then did I ask them to graph it. I asked the students to “take a couple of minutes and create a first draft.” The rest of this post is about that teaching move. I want to report that asking students for a “first draft” had a number of really positive effects on me, and I think on us. First, for me, I became less evaluative. I wasn’t looking for a correct graph. That isn’t the point of a rough draft. I was trying to interpret the sense students were making of the situation at an early stage. Second, I wasn’t worried about finding a really precise graph so we (meaning the class, the audience, and I) could feel successful. 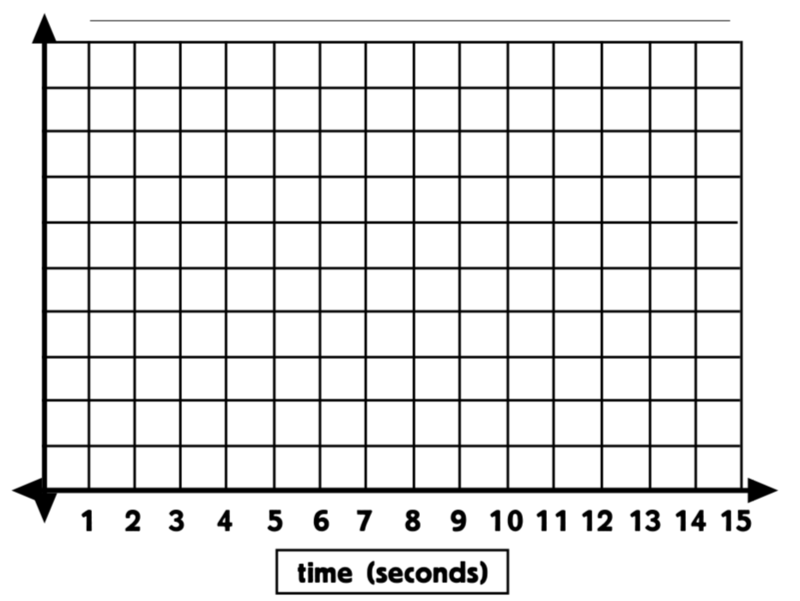 I wanted to find a really interesting graph so we could enjoy a conversation about mathematics. I could feel a lot of my usual preoccupations melt away. I like how they show he took longer to go up than come down. 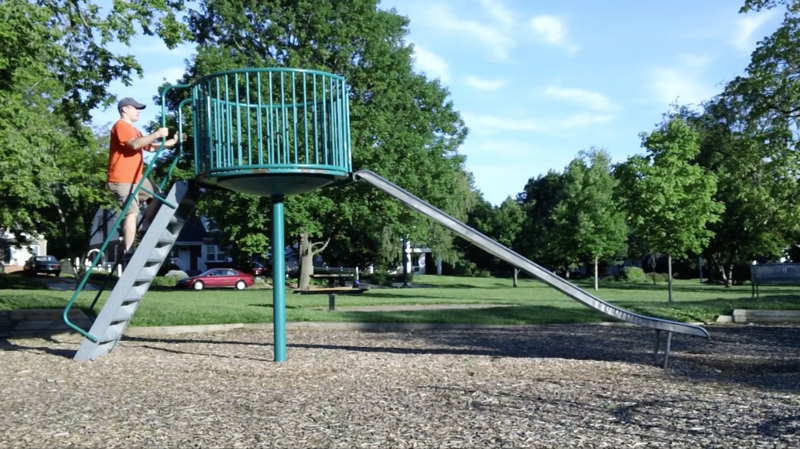 I like how they show he reached the bottom of the slide a little before the video ended. I think they should show that he sped up on the slide. If you’ve ever participated in a writing workshop, you know that workshopping one author’s rough draft benefits everyone’s rough draft. We offered advice to two students, but every student had the opportunity to make use of that advice as well. Why should I limit “rough-draft talk” (as Amanda Jansen calls it – paywalled article; free video) to experiences where students are learning in front of hundreds of math teachers? My students were likely anxious doing math in front of that audience. Naming their work a first draft, and then a second draft, seemed to ease that anxiety. But students feel anxious in math class all the time! That’s reason enough to find ways to explicitly name student work a rough draft. That question now cascades onto my curriculum and my instruction. How should I transform my instruction to see the benefits of “rough-draft talk”? If I ask for a first draft but don’t make time for a second draft, students will know I really wanted a final draft. If I ask for a first draft, I need to make sure I’m looking for work that is interesting, that will advance all of our work, rather than work that is formally correct. How should I transform my curriculum to see the benefits of “rough-draft talk”? “Create a first draft!” isn’t some kind of spell I can cast over just any kind of mathematical work and see student anxiety diminish and find students workshopping their thinking in productive ways. Summative exams? Exercises? 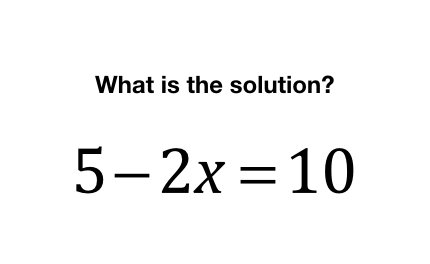 Problems with a single, correct numerical answer? I don’t think so. What kind of mathematical work lends itself to creating and sharing rough drafts? My reflex answer is, “Well, it’s gotta be rich, low-floor-high-ceiling tasks,” the sprawling kind of experience you have time for only once every few weeks. However I suspect it’s possible to convert much more concise classroom experiences into opportunities for rough-draft talk. To fully wrestle my question to the ground, how would you convert each of these questions to an opportunity for rough-draft talk, to a situation where you could plausibly say, “take a couple of minutes for a first draft,” then center a conversation on one of those drafts, then use that conversation to advance all of our drafts. I think the questions each have to change.